We at CSD Activity Camps offer a high-quality summer activities programme. We focus on multi-skills as this provides a non-sport specific, fun, challenging and enjoyable starting point for their involvement in sport. We provide summer camps for kids with opportunities to become physically confident in a way which supports their health and fitness. We also offer a wide variety of games and activities which build character and help to embed values such as Learning, Achievement and Fun (LAF). Therefore children and young people begin to master basic movements including running, jumping, throwing and catching, as well as developing balance, agility and co-ordination, and begin to apply these in a range of activities. 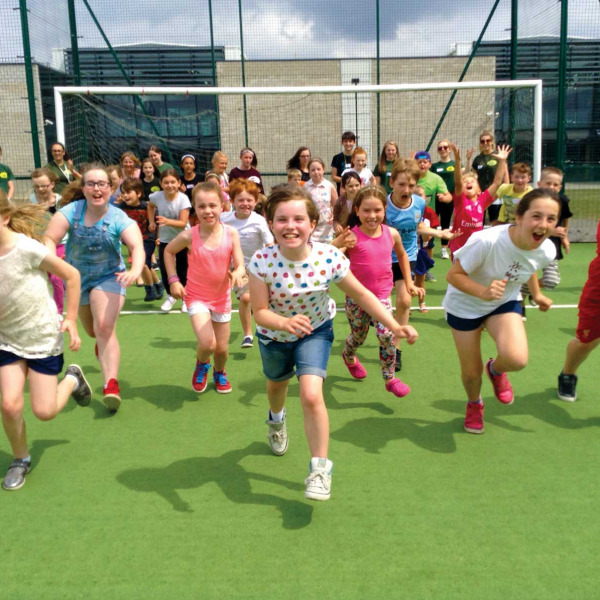 Plus the CSD Activity Camps programme offers a variety of youth sport activities e.g. in the form of team games. This builds on the blocks from the previous term the children’s and young people’s physical literacy will have hopefully increased with aim of this term to extend the learning of fundamental movements and link them together into play. As a result with emphasis on team games like relay style games with the objective to enhance psychomotor development such as brain function, coordination, social skills and imagination. Secondly children and young people shall develop skilful movement and it activities will promote enjoyment of physical activity. Whilst all involving the development of skills and attributes that can be applied to a range of sports and physical activities that a pupil may subsequently choose to participate in. For that reason will have developed their physical literacy in which they will have the ability to instruct the body to perform an action accurately and with confidence and to recognize the physical, social, cognitive and emotional attributes required to do so effectively. In contrast children and young people need to even learn how to share and work together, thus lots of partner work with small equipment. Plus arrange activities which involve different sized balls which develop pupil’s fundamentals needed to be able to catch, kick or throw. Chuffed to Bits, Kieran Allen with his camp Superstar trophy from Corby Sport Dimensions.